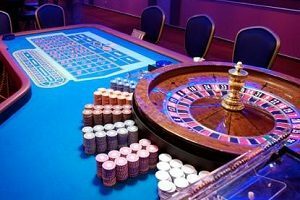 A Wisconsin restaurant owner pleaded no contest earlier this month to allowing gambling in her establishment. This is not the first time she has been in trouble with the law. Her case highlights some of the issues involved with gaming machines in Wisconsin. There are very few forms of gambling that are legal in Wisconsin. The law allows for horse racing and dog racing. 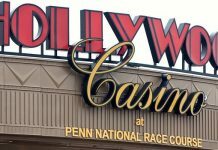 The state law also allows pari-mutuel betting on horse racing and dog racing. In addition, there are both commercial and Native American casinos in Wisconsin. Charities can hold bingo games and raffles as well. It’s legal to bet on sports contests in Wisconsin, but not legal to bet on most other forms of gambling. The state does have both a state lottery and a multistate lottery. The Badger State also allows online gambling and video gambling machines but prohibits sports gambling. Many Wisconsin convenience stores, bars, and restaurants have illegal gambling machines. Usually, police officers do not investigate until a business has five or more gambling machines. 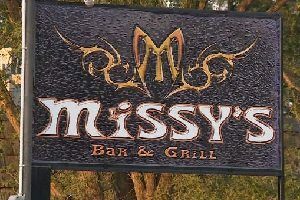 Located in Lake Hallie, Wis., Missy’s Bar and Grill served hamburgers and bar fare. It was a popular eatery in the community, which is just north of Eau Claire. However, the owner, Melissa Christianson, has had some trouble with law enforcement in the past. In late 2016, the authorities ordered her to close the restaurant. In that case, she had repeatedly violated the Alcohol and Tobacco Enforcement Act. Christianson originally got into trouble with the alcohol commission in 2015. At that time, she was buying alcohol from convenience stores instead of from wholesalers. In Wisconsin, it is illegal for businesses to buy alcohol from convenience stores. The authorities told her that she also had to get rid of her five illegal video gambling machines. The alcohol and tobacco authorities came back in mid-2016. They noticed Christianson was still buying alcohol from convenience stores and still had the gambling machines. They ordered her to stop serving alcohol and revoked her license. 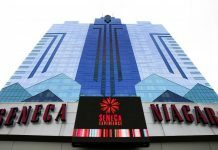 They also warned her that if she did not remove the gambling machines, they would charge her with a crime. The agents returned in June 2017. They found that Christianson was continuing to operate her bar and grill. In addition, she was selling alcohol without a license. They also found that she was still operating the illegal machines. At the time of the raid, Christianson said she continued to operate because she couldn’t afford to close the establishment. She said she was looking for ways to make her business more successful. Christianson also said that she was aware that it was wrong to have the machines in her restaurant. She said she knew it was illegal for her to stay open, but she felt she didn’t have a choice. The authorities charged her with operating illegal gambling machines. In addition, they charged her with continuing to stay open after she had received an order to close. She pleaded no contest to the charges. The owner faced up to a $4,500 fine and up to six months in jail. However, the judge was lenient because Christianson pleaded no contest to operating the bar and having illegal video gaming devices. She agreed to enter a 12-month diversion program for first offenders. If she completes her diversion program, she will be able to have the charges expunged from her record. Christianson had to forfeit her gaming machines. She also had to agree not to buy any machines or operate a bar during her diversion program.